When setting up Clerk.io you might run into problems, for a number of different reasons. 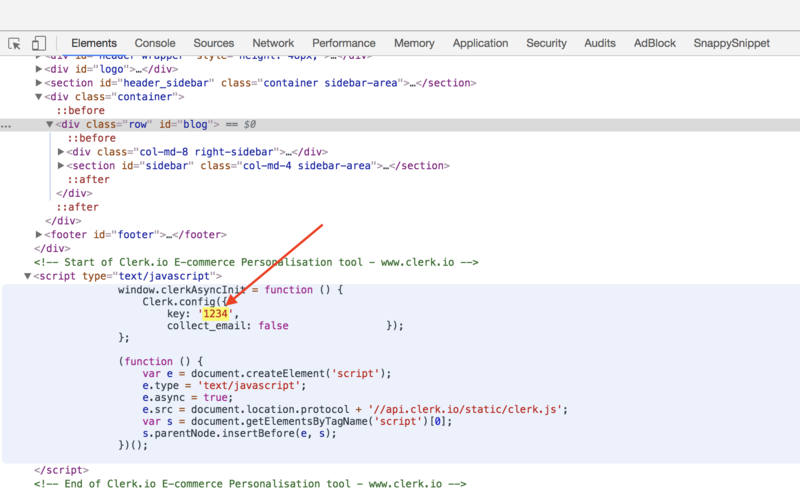 The most common problem is that you have installed Clerk.io, but products are still not being shown. This article shows you the messages that Clerk.io shows in the console and explains how to deal with them to help you when debugging. By clicking the error link you will get more information about what went wrong, which you can use to debug the error yourself, or to send to our support team who will help you out. 1. 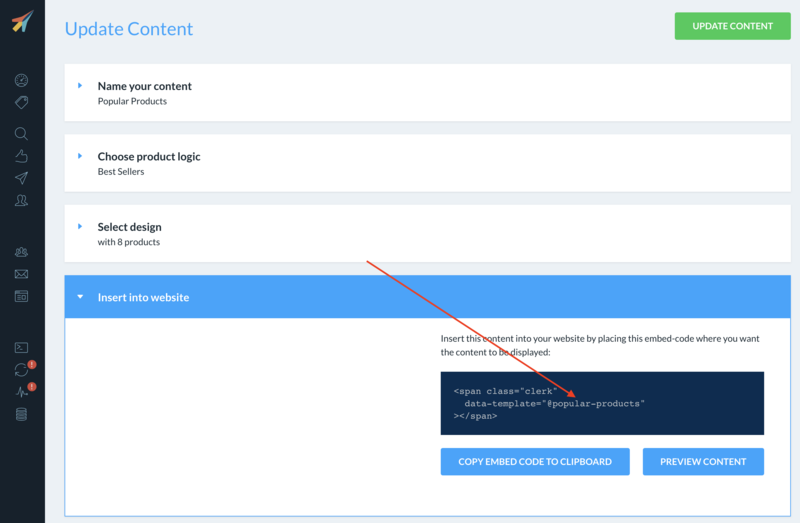 "LogicalError: Unknown content 'insert-name'"
This error will show if the embedcode you inserted is referencing a Website Content that does not exist, in data-template. To fix it, make sure that the name in the embedcode matches a Website Content. 2. "AuthenticationError: Invalid API endpoint"
The class "clerk" is reserved for use with our embedcodes, as its used to handle the calls to our server. To fix it, make sure that you name the class something else, for example "clerk-product" or similar. 3. "ParsingError: Invalid type of argument product"
This error means that the ID supplied for a product in the embedcode, has a wrong type or syntax. 4. "ParsingError: Invalid type of argument category"
As with the above, this means that the ID supplied for a category is wrong. In custom setups you will however need to set your own logic in the embed code. 5. 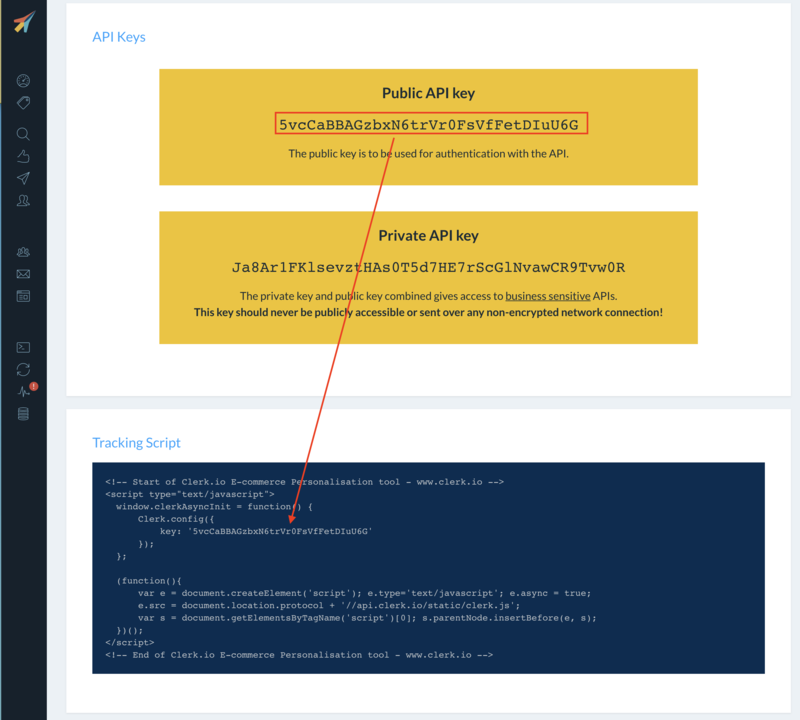 "AuthenticationError: Incorrect public API key"